MOSCOW, April 3. /TASS/. 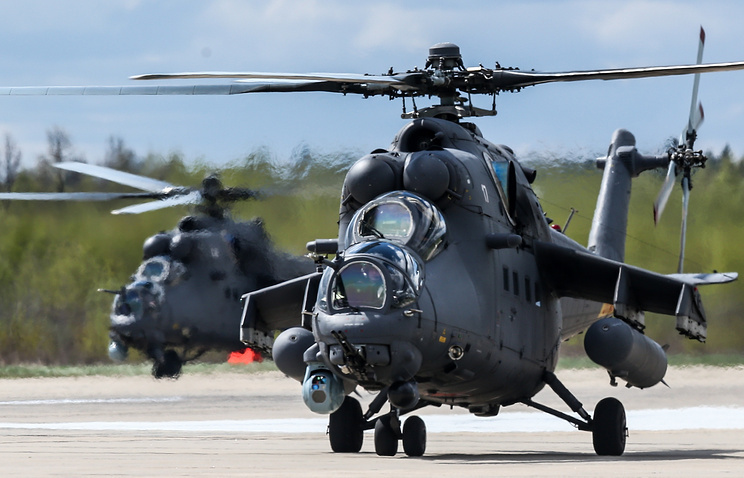 Delivery of four Mi-35 attack helicopters, four Mi-17 transport helicopters, T-72 tanks, BMP-2 infantry fighting vehicles and other military hardware from Russia to Serbia has been discussed during the meeting with Russian Defense Minister Sergei Shoigu, Serbian Defense Minister Aleksandar Vulin said Tuesday. "So far we talked about acquiring four Mi-17 transport helicopters and four Mi-35 attack helicopters. We have also discussed the future of our military and technical cooperation, further improvement and modernization of MiG fighter jets, purchase and delivery of T-72 tanks and BMP-2 vehicles, as well as other types of military hardware," said Vulin. He also mentioned that Serbia is working hard on developing and improving its military complex. "We always have to prepare ourselves for the worst," Vulin noted. The Serbian minister added that Russia and Serbia continue developing their military and technical cooperation. "I am very grateful for that. An armed Serbia is a peaceful Serbia, and it guarantees stability in the Balkans," said Vulin.